When you invest in quality fabrics for your clothes and furnishings, chances are you may have to invest a little in cleaning them as well. Most of the time, you might have to send them in for dry cleaning. After all, not all and especially not the sophisticated fabrics, are able to withstand the rough handling and spinning of our domestic washing machines and dryers. In these instances, dry cleaners may come in handy. Besides having an extra hand in doing our laundry, sending them in for dry cleaning also helps remove our frustrations of having to deal with complicated and messy washing DIY processes to avoid damaging expensive fabrics. 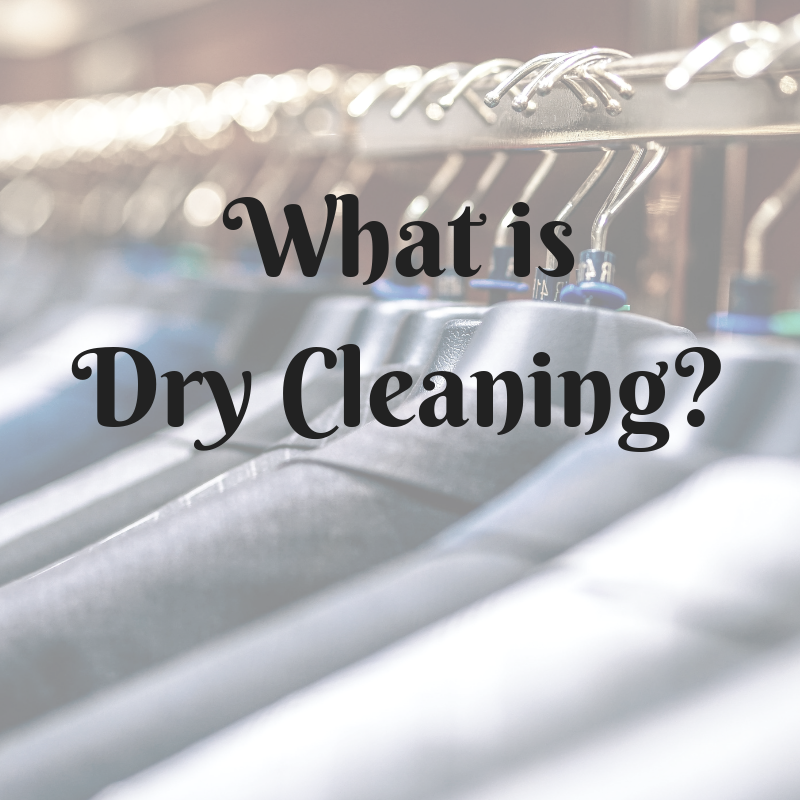 So what exactly is dry cleaning? Unlike what its name suggests, dry cleaning does not mean the cleaning processes used are dry. Dry cleaning is simply a process of cleaning clothes or fabrics with chemicals other than water. The most commonly known solvent used is the tetrachloroethylene (perchloroethylene) also called Perc. Other solvents may include trichloroethane and petroleum spirits. Previously, some dry cleaning solvents used were also non-environmentally friendly. Fortunately, these have been replaced and phased out. Sometimes, steam is also used to clean these fabrics. Depending on the type of stain and dirt to remove, different solvents may be used in the cleaning process. What fabrics are suitable to be dry cleaned? The more common fabrics such as cotton, polyester, linen, nylon and even cashmere can be washed and cleaned with our domestic washing machines. Dry cleaning works on more delicate fabric materials that cannot withstand the agitation and tumble of the washing machines we use at home. So take note of fabrics that would tear, shrink or come loose with home washing machine. Some of these fabrics include wool, silk, velvet and lacy materials. Examples would be wedding dress, couture gowns and costumes, and even your winterwear. Also, bulky and hard to clean items that require intensive hand-washing like big plush toys may be better cleaned with dry cleaning. Materials with extensive handiwork such as beads or sequins are also best sent to be dry cleaned to reduce risks of tearing and damaging the work. What can Dry Cleaning remove? Different solvents react to different types of stains using different processes. However, in general, dry cleaning can help remove grease, oils and dirt without damaging the fabric. Sweat stains, lipstick or cosmetic stains, and coffee stains are more of what dry cleaning can remove. Sending your garments in for dry cleaning also helps to kill germs and bacteria. These are normally not removed through machine cold wash. When do I need to send in for Dry Cleaning? Generally, you don’t have to send your garments in for dry cleaning frequently, unless you wear them on regular basis. However, in times when you experience dirt or stains, it is best to send them in for dry cleaning as soon as you can. Stains and dirt tend to set in deeper with time. This will make it harder for complete and clean removal as well. When you send your garments in for dry cleaning, do make it a note to tell the dry cleaner what you spilt or stained on, how long before and what you did to them afterwards. A simple way to identify whether your clothing needs to be dry cleaned is to check the care label on the insides of your garments. The symbol to note for dry cleaning is a circle. 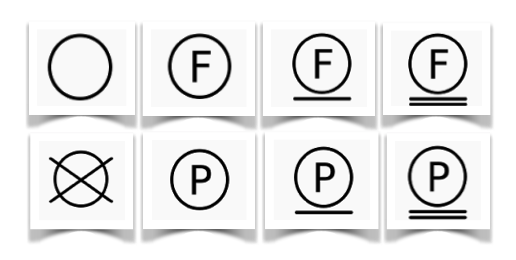 The alphabets within the circles indicate the type of solvents to use in cleaning. A line or a double line underneath the symbol indicates the need for gentle or gentlest handing respectively. A crossing out the circle means no dry cleaning. Where can I send my items in for Dry Cleaning? Located in the west of Singapore at 354 Clementi Avenue 2 #01-177 Singapore 120354, 24H Laundry Room provides both laundry and dry cleaning services on a 24/7 basis with unmanned drop-off and collection service kiosk. How much does dry cleaning service at 24H Laundry Room cost? For pricing, please refer to our Services page. When you sign up for our annual membership, you are also entitled to 10% off all the laundry and dry cleaning services. Do you have further queries on dry cleaning? Email or Whatsapp them to us.